With voice self-service getting such a bad name, we asked our panel of experts how we can tune up our IVR systems. 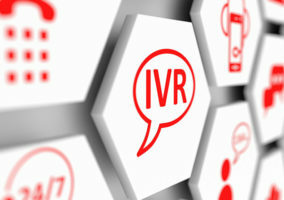 What is IVR? Literally “interactive voice response” but commonly recognised as the touch tones you have to press to get through to a call centre. Voice recognition software has been used in IVR applications as well. The most common applications are call routing, patient or information messaging and access to self help, e.g. finding a train time. IVR applications are generally despised unless they are very simple, so here are some top tips. 1. Think carefully about which interactions you want to automate: typically not more than six minutes a call; without too much integration with other systems. 2. Think brand: develop a clear persona or vocal image for customer interactions that supports your brand values. 3. Research your audience: determine which customers are going to be more likely to use automation and bear this in mind when you develop your persona. 4. Hire a specialist: to help with phonetics and linguistics – get it right and you’ll dramatically improve completion rates in the IVR. 5. Don’t expect to get it all right first time: be realistic and set reasonable goals. You might only get 50-60 per cent completion rates at the first attempt. Be prepared to tune the application to achieve those 70-80 per cent completion rates. 6. Don’t bore me. Review and challenge any greeting or statutory messages. Are they really needed? Are they where they are needed? 8. Don’t ask me to work too hard. Use only two, maximum three menu levels. 9. Use my language. Remove any jargon. Get a customer to do it as you won’t notice. 10. Listen to your own messages. Play all the options, remove the dumb stuff, stop any loops, duplications or dead ends. 11. You’ll always be wrong. Always pilot and test any application to optimise the design, the vocabulary and the sense. IVR isn’t hard to do well, but few companies seem to do the ground work. 13. Broken Logic. Many IVR services do not function as intended through broken logic which remains invisible to the call centre. This tends to occur as options are amended and real-world testing is difficult. There are a number of solutions to stress test IVRs to ensure routing integrity. Speech analytics is one way to achieve this so that glitches experienced by the customer can be quickly spotted. 14. Natural language speech recognition. Another top tip is to review the opportunity that natural language speech recognition provides touchtone based IVR. Not always needed, but if relevant has a proven higher uptake by customers given its more intuitive interface. 16. Don’t block the exit. Although it appears to fly in the face of investing capital in technology, never prevent the caller from reaching an agent if they want to. This will only frustrate, making the interaction more difficult for the agent when they do reach them, if they reach them. 17. Have trained, knowledgeable staff ready: There can be little more frustrating for callers to have spent five minutes actively attempting to resolve a task in automation, only to then speak to a customer service agent who is unable to help. In Convergys’s study, 63 per cent of respondents said that speaking to a knowledgeable customer representative was the most important attribute in a company’s customer service operation. 18. Voice is only one channel. Your voice strategy should be part of a wider customer interaction piece. Are the same offers provided on the website or in-store that are provided on the IVR? Is the language, tone, messaging consistent across all? 19. The phone works the other way. If the status of an order has changed, then consider using an automated system to send an SMS or provide an automated recorded message to the customer. This is just one example, but such pro-active messaging has been proven to improve customer satisfaction and at the same time, reduce inbound contacts. 20. Keep it simple! For call steering, keep any menu options to four or less, and don’t have more than two levels of options. For self-service applications, start with the easiest, high volume services (such as account balance) and build up from there. Don’t try and automate complex transactions – pass these calls to an agent, they like complex stuff and they are good at it! 21. Design it from the caller’s perspective, not your internal process. Make it obvious and intuitive. Put the most common options first. Don’t ask for information that you are not going to use, and ensure that any information you do collect gets presented to the agent handling the call along with the call. 22. Speech recognition. Standard touch tone or DTMF IVR still has its place for simple transactions (especially ones requiring the collection of large numbers of digits, such as credit card or account numbers) but for a more natural customer experience, the transition to natural language speech recognition is a must. Technologies such as “Say Anything” allow a more natural automated “conversation” than numerical menus. IVR really can be a good thing if implemented well – for both the call centre (reduced agent talk time, improved customer segmentation) and the customer (getting to speak to the right person first time, not having to speak to an agent at all for simple transactions). A number of fairly simple guidelines can be followed but you shouldn’t treat them as rules which should never be broken. The design will always depend on each individual situation and a combination of techniques should be employed to achieve the best outcome possible and that may require an element of compromise in some areas. 23. Use barge in. Some of the guidelines include servicing as many customers as possible as quickly as possible, use barge in, but only where appropriate, group options together in logical sets which will help the customer, cut down on total overall number of options early on and reduce the number of branches. In the real world you will also need to take into account agent skill sets, of course, for call routing applications. 24. Measure the drop-outs. You should also think about the MI you want to get out of the application so it can be built into the design. KPIs include where drop-outs are occurring because they are an indication of where customers are having problems, log the number of callers who follow each path within the IVR to help you in future designs. 25. Use a specialist company. Use a specialist company to design the IVR application or to evaluate an existing application which may not be performing as successfully as it could be. Even quick wins such as changes to prompt wording can improve an application’s effectiveness by increasing containment in the application and transaction completion rates. 26. Use an IVR survey. Think about using an IVR survey to measure customer satisfaction with your automated applications; it will be very interesting to hear what your customers actually think about the application rather than relying on one-sided anecdotal comments passed on to agents. Comments received in this way are always going to be one-sided of course because customers who have completed their business in the application and had a successful experience will not be put through to an agent to tell them how great it was. 27. Speech Recognition. Speech recognition has enabled more flexible and complex applications to be launched and has helped companies automate many more transactions than is possible with touch-tone interaction. But remember that many organisations are still reaping substantial benefits from touch-tone applications which cost far less to implement compared to a speech equivalent. Be aware that I work for a company that provides both speech and touch-tone applications and I’m not biased either way. 28. Ease of touch-tone input. It has been interesting to listen to customer comments from a survey we provided to capture customer feedback on a sophisticated speech recognition application. The overall feedback was very positive but many customers still said they preferred touch-tone input because they had more confidence in its accuracy and it also provided a level of secrecy which speaking doesn’t. 29. Getting the right Support for the investment in the platform and applications is key to maximising uptime. Tuning and optimizing the application to provide simple, fast and easy to use access is critical to ensure customers can navigate through the systems and come back for more. Then it is key that the overall solutions are tested, updated and enhanced over time to maximize the value of the investment. Consider working with specialist IVR practitioners who are focused on the 90% of the solution cycle that delivers the returns to you NOT simply those who have the most to gain only from your initial investment. Testing, testing 1, 2, 3: Setting-up natural language call automation using speech recognition involves the collection of more than 30,000 caller utterances that represent seasonal and monthly trends in call patterns, and using these to build a model of how people talk. In order to optimize the performance of a system before full deployment, the speech application should be made available as a pilot to a limited audience of users. A good pilot is an iterative process. That means running the system, checking the data, and then tuning the system to ensure it fills the business needs before and after deployment. Once a speech system is live, it is the business’ responsibility to work in tandem with the vendor to continue to monitor the system’s performance through ongoing data collection. This means routinely checking grammar coverage and recognition accuracy, and if needed, tuning the recognition parameters to improve performance. The same iterative process used during the pilots can be used to identify additional optimisations based on data collected from the full caller population. This data can also serve to track changes in usage due to increased caller familiarity or changes in the caller population. A phased launch: Speech automation return on investment is closely linked to user adoption. Because speech automation is interactive and customer-facing you can’t simply throw the switch and walk away, or just do agent training. The launch planning and production process typically takes two to three months and it is crucial that this is a holistic approach, encompassing the customer service and marketing teams, as well as internal stakeholders such as the board. Through working with the marketing team to build consumers’ awareness of the system, properly set expectations, and promote usage, you can bring customers along for the journey, while making them feel valued at all times. The effort and cost to educate customers will be paid back many times over the life of an application through more effective use of agents’ time, and reduced call durations. Wow! What a wealth of information and great advice. Thanks for this article. Good article. I only disagree with point 22. I far prefer to select options etc with touch phone than by voice as I find speaking to an automated phoneline unnatural and slightly unnerving! how can one inrease IVR utilization? I’m looking for thoughts on having marketing messages and signposts to online channel on a touch tone IVR… any thoughts? Customers do not like speech recognition, it offers too many variables and often unstructed and contridicts the advise of keeping IVR’s simple. It dosen’t recognise extreme dialect variations very well let alone non-native speakers. We recently decomisoned a speech recognisiton system, now we have increased the percentage of customers reaching the correct agent first time dramatically. 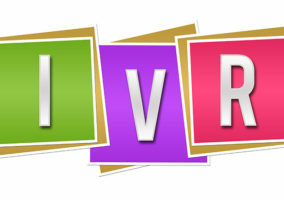 IVR should be very simple and one should keep it away from the marketing jargons.